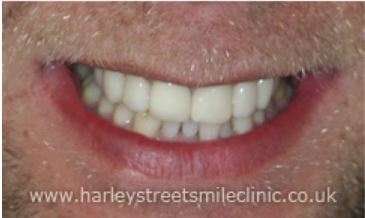 Veneers – Watford residents who suffer from intrinsic staining or uneven, crooked, gappy or chipped teeth, may find that veneers could be the way forward for them. 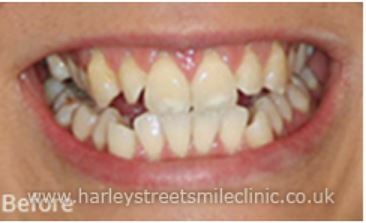 The procedure involves your dentist taking a mould of your teeth which is then used to create any number of thin but sturdy porcelain “shells”. 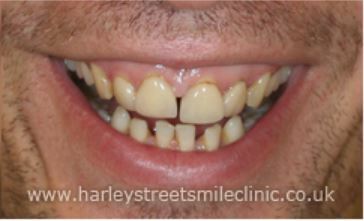 These are affixed to the front of the affected teeth using dental cement. 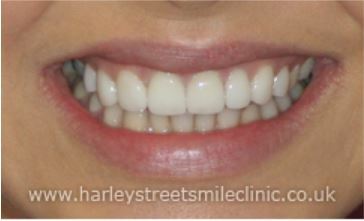 The colour of the veneers can be adjusted to match the rest of your smile perfectly, and each one can be delicately and individually shaped. 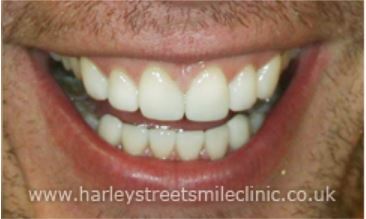 Teeth Straightening – Watford sits less than half an hour away from Harley St Smile, where you can choose to receive expertly fitted braces or aligners to gradually move your teeth to a more attractive and comfortable place. 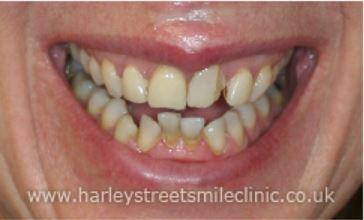 If your teeth are crooked or uneven, this may be the best option for you if you wish to keep everything one hundred percent natural. 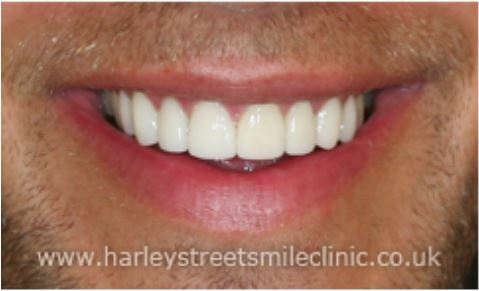 Tooth and gum contouring – Another means of correcting uneven or asymmetrical teeth is through tooth contouring, which involves the use of a very accurate laser to subtly reshape your smile. 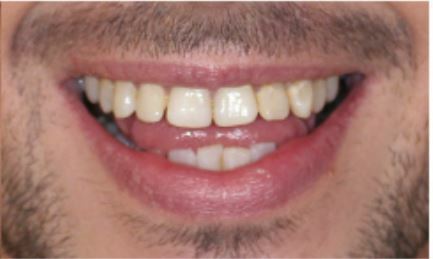 A similar procedure can be undertaken on the gums; if you feel your teeth seem small or your gumline too pronounced, an amount of tissue can be removed to improve the look. 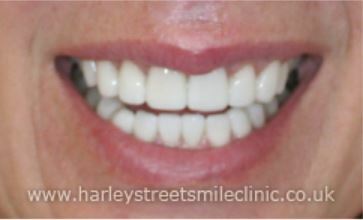 Whitening – The specialists at Harley Street Smile can supply you with trusted home whitening courses or apply in house whitening treatment to give your smile the twinkle you desire. 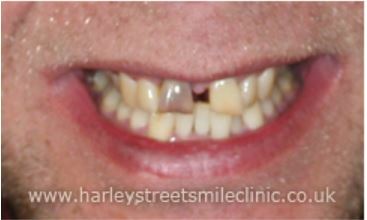 Crowns, Bridges and Implants – These three options are all ways to rebuild or replace broken, damaged or missing teeth. 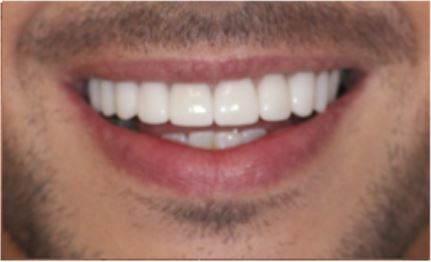 While crowns involve placing a ceramic “cap”, exactly resembling a natural tooth, over the remaining segment of an existing tooth, bridges are similar, but rely on the teeth on either side to act as “anchors” to which to attach the new tooth. 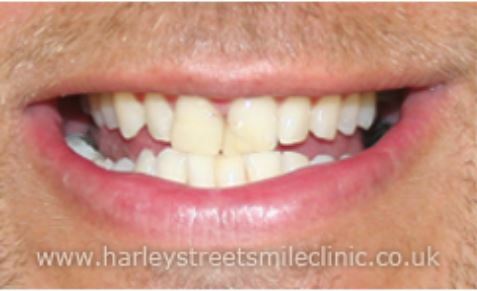 Implants, on the other hand, also involve beautifully crafted replacement teeth taking the place of the natural material, but, in addition, they feature a titanium “root” that is fixed directly into the jawbone. 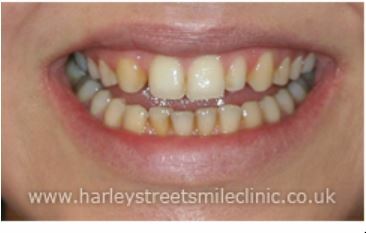 For further information about these procedures or advice about how best to achieve your ideal look, just contact Harley St Smile on 020 7486 6777 or email jill@harleystsmile.co.uk today, and the expert in-house team will be more than happy to assist you from the beginning of your journey to the last few check ups. Remember, you can request a free consultation either in person or online, where you can ask any further questions and discuss your requirements in depth. 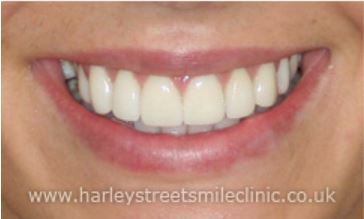 The Harley St Smile offices are open from 9.30am to 6pm from Monday to Friday.